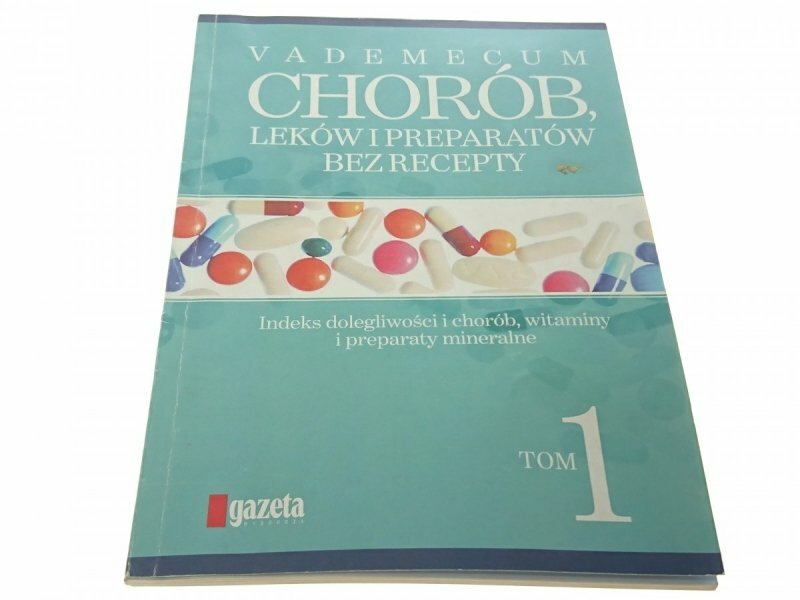 VADEMECUM CHORÓB, LEKÓW I PREPARATÓW BEZ RECEPTY. INDEKS DOLEGLIWOŚCI I CHORÓB, WITAMINY I PREPARATY MINERALNE. TOM 1. INFORMACJE DODATKOWE: KSIĄŻKA JEST W STANIE DOBRYM. MIEJSCOWE LEKKIE PRZYBRUDZENIE OKŁADKI. POFALOWANIE KARTEK.